A former Dutch politician from Geert Wilders’ right-wing Freedom Party (PVV) has announced his unexpected conversion to Islam. 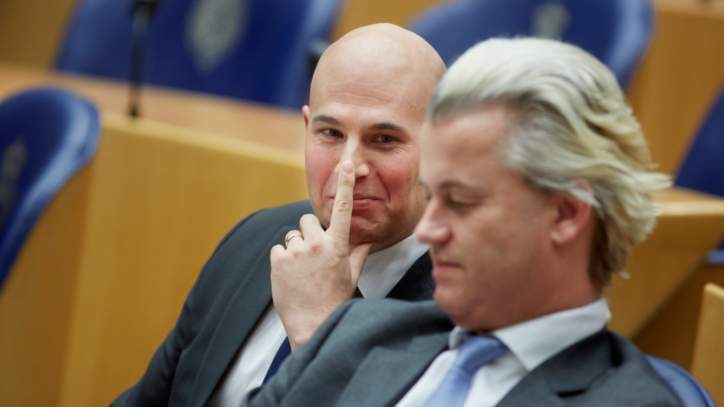 Joram Van Klaveren had been a fierce critic of Islam and was elected to Parliament in 2010, as part of the sweeping support for Wilder’s anti-Muslim rhetoric which saw the PVV become the third-largest party in the Netherlands. He quit the PVV party in 2014 after disagreeing with Wilders’s racist insults against the Moroccan community in the Netherlands. Van Klaveren set up his own party but failed to get re-elected in the 2017 elections. Without politicking to occupy his time, Van Klaveren decided to write a book critical of Islam. Ironically, while in the middle of his research his views of Islam started to be challenged and he had to reassess and rewrite the book, eventually converting to the faith in October 2018 and announcing the news on Monday. In an interview with a Dutch radio channel he said “During that writing, I came across more and more things that made my views on Islam falter”. He added that he found out he “was simply wrong” about Islam. Many other right wing European politician who used to be staunch enemies of Islam ended up becoming Muslims. Examples include Arthur Wagner and Werner Klawun from Germany, Maxence Buttey from France, Arnoud Van Doorn from the Netherlands. “O Allah! I complain to You of my weakness, my scarcity of resources and the humiliation I have been subjected to by the people. O Most Merciful of those who are merciful. O Lord of the weak and my Lord too. To whom have you entrusted me? To a distant person who receives me with hostility? Or to an enemy to whom you have granted authority over my affair? So long as You are not angry with me, I do not care. Your favor is of a more expansive relief to me. I seek refuge in the light of Your Face by which all darkness is dispelled and every affair of this world and the next is set right, lest Your anger or Your displeasure descends upon me. I desire Your pleasure and satisfaction until You are pleased. There is no power and no might except by You”. At this point, the prophet saw the Angel Gabriel, who said to him “O Muhammad, your Lord has seen how your people have responded to you, your Lord has seen what they have said to you, so he has sent me with the angel of the mountains to place at your disposal. If you wish, command me and I will cause the two mountains of Taif to collapse upon them.” The prophet replied “No! Rather, I pray that from among them or their descendants, there would be those who worship Allah alone and do not associate a partner with him”.